Dealing with red, itchy, swollen eyes is simply no fun. For those who suffer from allergies, exposure to pets, pollen, or dust mites can quickly lead to red, itchy, watery eyes. Although seasonal allergies are notorious for causing eye symptoms, year-round exposure to allergens can be just as problematic. If you develop itchy, red, irritated, puffy, or watery eyes, make an appointment to see your optometrist for diagnosis and treatment recommendations. If you know what triggers your eye allergies, the most important preventative step to take is to limit your exposure. This may mean limiting your time spent outdoors, avoiding homes with pets, switching bed linens to remove feathers or dust mites, or having your home checked for mold. For individuals with seasonal allergies, mid-morning and early evening typically bring the highest pollen counts, so it is smart to stay indoors during those times. Also try to avoid windy days, which can blow pollens and trigger eye allergy symptoms. Sometimes getting an allergy test will give you more specific information about your allergens and how to avoid them. Medications – Many people who suffer from allergies reach for over-the-counter antihistamine medications to manage their symptoms. 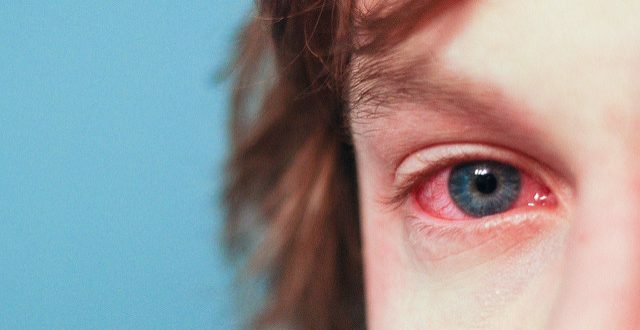 Although antihistamines often reduce nasal symptoms, the American Optometric Association warns that they can actually increase irritation associated with red, itchy eyes. Antihistamines decrease tear quality and quantity, preventing your body from providing natural eye relief. Instead, ask your eye doctor about prescription medications or eye drops that may be right for you. 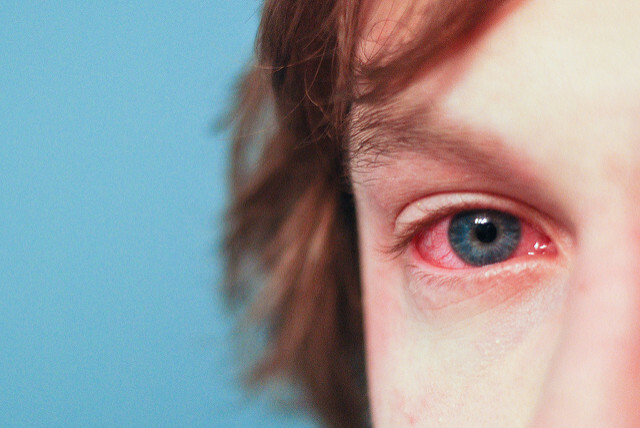 Eye Drops – Allergy eye drops can make your eyes feel better and look less red. But ask your optometrist about the right type of eye drops to use. Some over-the-counter eye drops constrict blood vessels to reduce redness. Using these drops long term may harm your eyes and cause more problems. Avoid Rubbing – Another important step for managing eye allergies is to avoid touching or rubbing your eyes, which can exacerbate symptoms. Cleanse your hands frequently with soap and water, and wash your bed linens and pillowcases in hot water to destroy common allergens. For Contacts – For contact lens wearers, allergies can be particularly challenging. Wearing contacts may become particularly uncomfortable when you have itchy, irritated eyes. Whenever needed, forego contacts and wear prescription glasses instead. If that is not an option, make sure you replace your contact lenses frequently and talk to your optometrist about eye drops or single-use lenses. Inform your optometrist about all allergy or eye symptoms to ensure that he or she can recommend the right treatment for you.